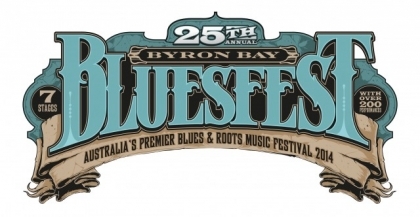 Australia’s premier blues and roots festival, Byron Bay Bluesfest’s last annual event boosted their achievement of being awarded best contemporary festival for 2013. The festival received the award from Helpman Awards, recognizing distinguished artistic achievement and excellence in Australia's vibrant live performance sectors, including contemporary music, classical music, musical theatre, comedy, cabaret, opera, theatre, dance and physical theatre. Now we are coming up to Byron Bay Bluesfest celebrating their silver year! 25 big ones! The five day festival will run from Thursday 14th of April through to Monday the 21st April. Director of the festival Peter Nobel and staff have been working hard towards the 2014 big blast since the 2013 festival was wrapping up! Announcements throughout the year have informed us there will be past bands returning to perform and some big fresh international headlines for 2014. Please follow the link for recent details.